I am here to introduce myself and give you a feel for what I am all about. 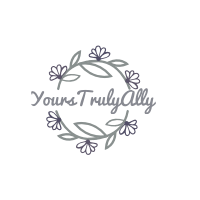 Initially I was a bit intimidated by the idea of starting a blog only because it seemed that there was a standard for a good blog, but then I came to realize that it is all about creativity and putting out your own character, so here I am… I am a 19-year-old girl who lives a pretty simple life in South Orange County. I’m in my first year of college and I plan to major in nutrition/dietetics and become a nutritionist. I have a small immediate family that I couldn’t be more thankful for and it consists of me, my mom and brother which all live together and then my grandma and uncle who live just two streets away. My mom and grandma are my greatest role models and the ones who support me unconditionally. I decided to start this page mainly due to the fact that I love to journal. I decided to take it one step further and create a platform where I am able to share my ideas and thoughts with an audience. My main focus is lifestyle and food because those are the things that I can closely relate to and have a high interest in. As I continue with this you will be able to learn a lot more about me and what is it like in my life…but for now this is it and I hope you enjoy my journey along the road.